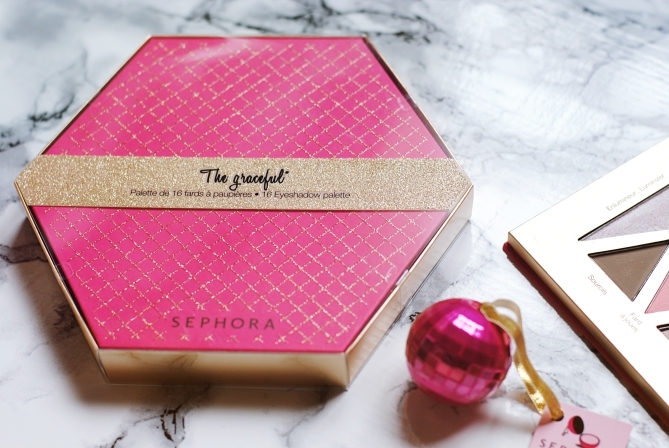 Christmas at Sephora will be really girly as the packagings of the seasonal products are all held in pink and gold. 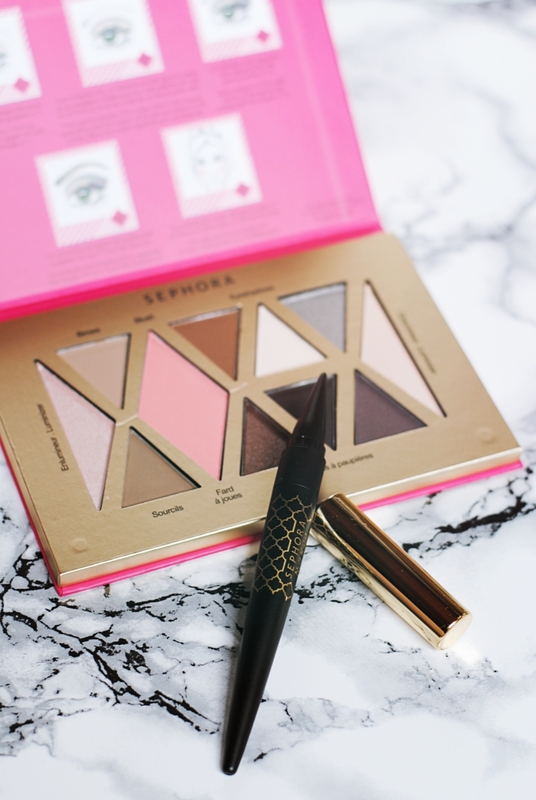 You can get some amazing powder palettes in different shapes. 'The Enchanting' palette for example contains highlighters, brow powders, eyeshadows and a blush, while 'The Graceful' is a pure eyeshadow palette. The bath and shower products' theme this year is 'Cotton Flower', which is a flowery and decent scent, and thus not Christmasy at all. Apart from these glittery highlights you can get the usual stocking fillers such as a lip balm bauble or 'The Mini Kiss' lipstick set. 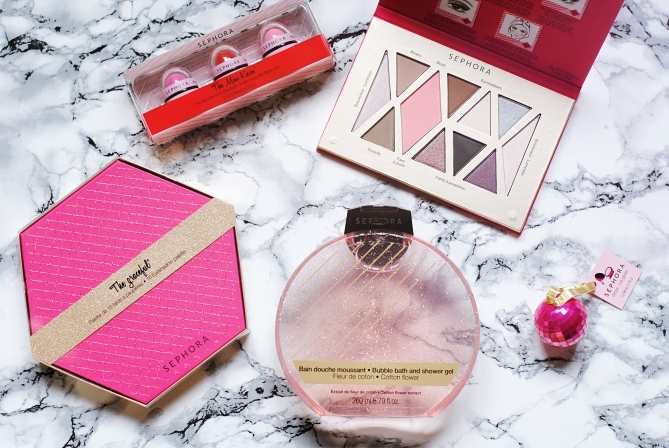 Also don't forget to check out the Sephora Advent calendar here. Two other products that I got, but aren't Christmas related, are the new 'Nuit Kajal' in an awesome oriental packaging, and the 'Wonderful Cushion' Natural Glow Face Luminizer. 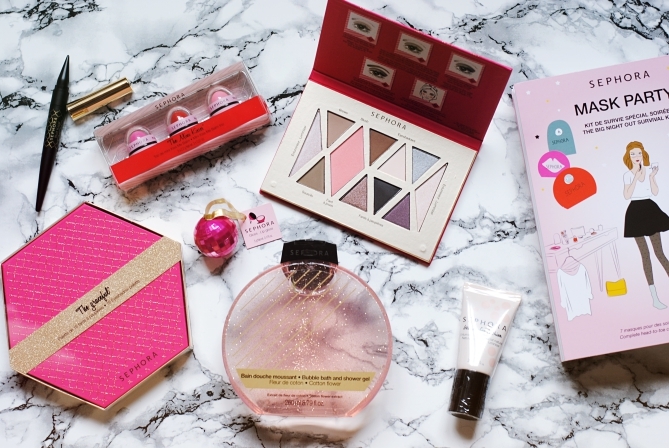 My highlight of all Sephora news however, has got to be the genius 'Mask Party' kit. 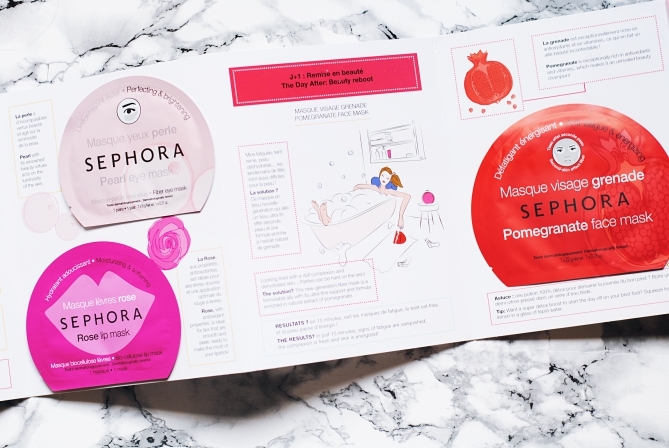 It's a booklet that contains all kinds of masks for head to toe pampering to get you ready for the next party or special event. Along you get all possible tips for the perfect all over body care. I certainly can't wait to try all these masks, or should I keep the kit for my wedding? Anyway it's limited edition so get your hands on it right now if you're a mask freak like me!